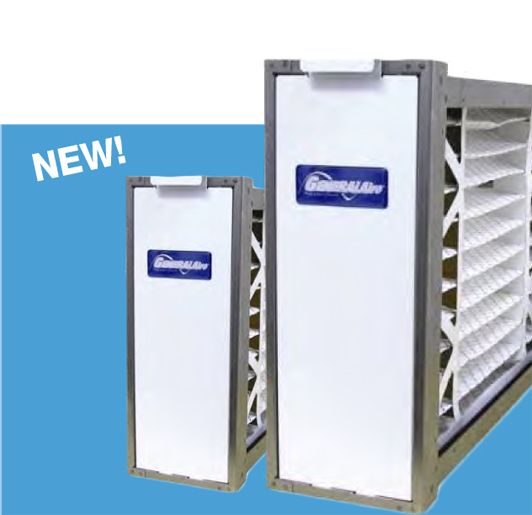 Wind-Driven Rain Resistant Sationary Louvers are available in 9 different Depth and Blade configurations ranging from a 2" Double Drainable to Vertical Models to a 8" Deep Double Drainable Model. All color, frame, and screen options are available. 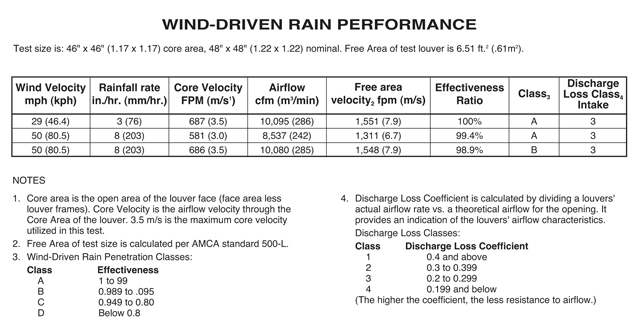 Wind-Driven Rain is an actual Class of Louvers rated under the AMCA 500 Standard with it's own classifications and standards. See an sample rating below. Call us at 800-810-3280 and we will get you a quote and submittal for the type Wind Driven Rain Louver your are looking for, or help you choose the best for your application.